This weekend may be your last chance to enjoy some of the discounts offered at stores during Dubai Shopping Festival. DSF, which is Dubai’s annual citywide shopping extravaganza was bigger than ever this year and offered both tourists and residents 39 days of unbeatable sales, shopping experiences and family entertainment. With the sale ending this upcoming Saturday, February 2, this is your last chance to enjoy sales across 700 top brands from 3,200 outlets where you can find products discounted up to 75 per cent. Following weeks of incredible sales, promotions and entertainment, the final weekend of the city’s shopping festival will begin on 31 January across 3,000 retailers in participating malls and outlets. 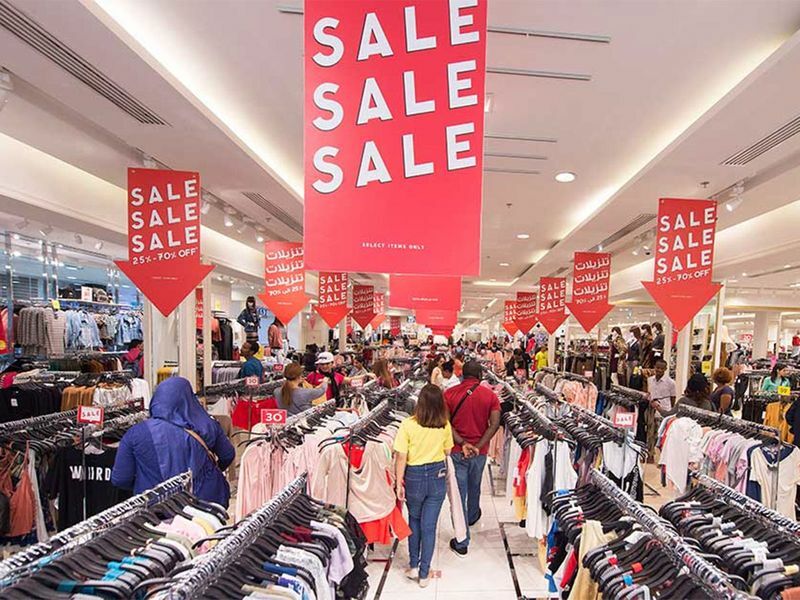 Shoppers can take advantage of offers up to 90 per cent, giving fashion fans, beauty lovers and homemakers the chance to enjoy the last of the sales until 2 February. DSF’s Final Sale is brought to you by VISA and Emirates NBD. The DSF series finale will take place on February 1 with Lebanese superstar Elissa — one of the biggest artists from the Arab world, having sold more than 30 million records worldwide performing live at Global Village. Global Village entry ticket is Dh15, with the performances starting at 9pm. 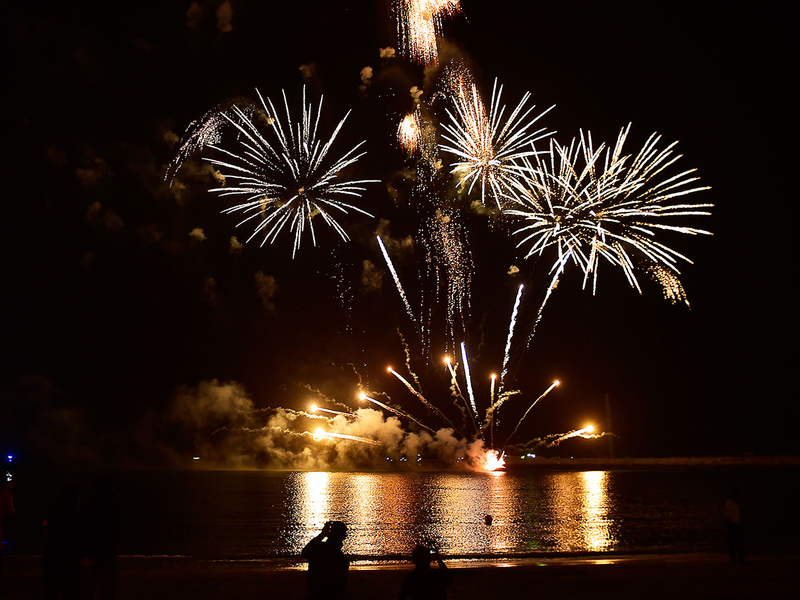 So head down to Al Seef, La Mer, Dubai Creek, Dubai Festival City or The Beach at JBR with the whole family to enjoy a picnic or dine out at a restaurant as you watch the show. Shoppers can enter the Infiniti Mega Raffle for a chance to win a Qx50 and a life-changing mega prize of Dh500,000 in cash. Raffle tickets can be purchased for Dh200 from EPPCO and ENOC petrol stations, Global Village, ZOOM and metro stations across the city. 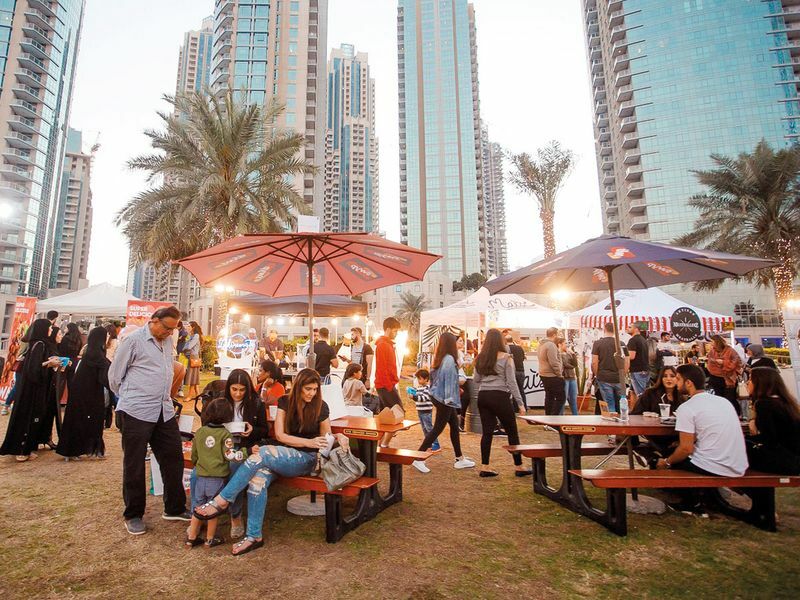 This is the last weekend you can head to Burj Park for an outdoor and ‘outside the box’ shopping experience. The free-to-enter market includes a range of activities for the whole family to participate in such as arts and crafts workshops, cap customisation, jewellery making, shoe art sessions and of course… shopping! The market features emerging designers and has given them a platform to showcase and sell their products. Market OTB caters to a large customer base during Dubai’s famous retail season, showcasing independent local labels in addition to well-known names. Visitors and residents can shop one of a kind jewellery designs and accessories, home decor and fashion for all. Foodies can tuck into a feast of cuisines at this year’s pop-up with debut vendors including Raclette Corner, Cestcheesee, Popcity and Absolute Zero, whilst returning favourites Project Chaiwala, Roux and Mini Pancakes will keep you full throughout the day. Dubai Opera will play host to the critically-acclaimed play, Othello, starting 31 January until 2 February. Reimagined and directed by Richard Twyman, the production marks the first time visitors can see the play at the iconic Downtown Dubai venue. Good food calls for good times! 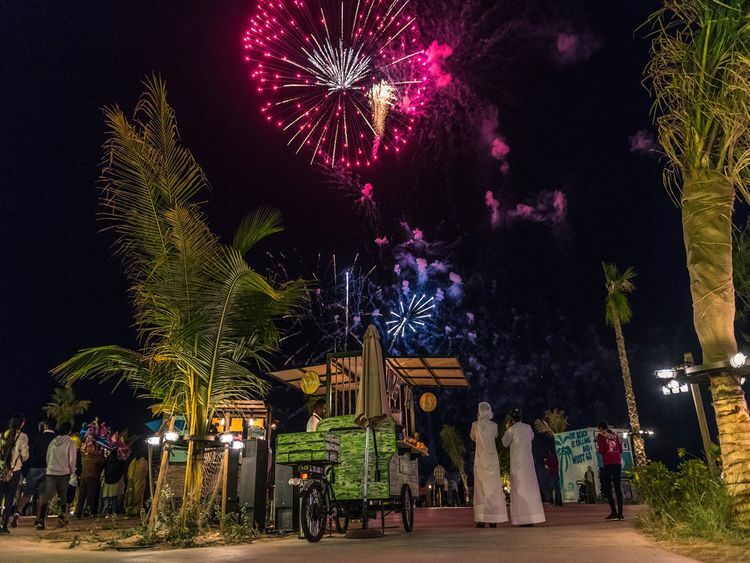 Outdoors at City Centre Mirdif has transformed into a family-friendly tropical destination for all ages, where shoppers can pass by to enjoy a movie under the stars, grab a bite to eat and take part in the various activities taking place within the area. For the adventurous ones, Magic Planet offers shoppers a variety of games, an outdoor free play track for kids, life size games, a skating rink and so much more. Families can make their way to Al Seef by Meraas and explore an exciting waterfront market that aims to educate and entertain visitors about traditional Emirati culture. Al Seef Heritage Souq extends over 1.8 kilometres and combines traditional and contemporary areas, all boasting a picturesque backdrop of the Dubai Creek. A charming shopping, dining and entertainment destination, Al Seef Heritage Souq is rooted in Dubai’s culture and treats shoppers, diners and thrill seekers to a series of activities and offers throughout DSF. The cutting-edge installation, Reflections of Dubai, continues to captivate crowds at City Walk 2, engaging residents and visitors with its incredible projections. The interactive centerpiece, inspired by His Highness Sheikh Mohammed Bin Rashid Al Maktoum, Vice President of the UAE and Ruler of Dubai, is free to visit and a real showstopper for everyone to experience during DSF. Everyone still has a chance to see Light Art DXB; a breath-taking installation combining the elements of movement and light on display until 13 February. Creating a dynamic environment from optimally placed giant mirrors, Light Art DXB bathes Downtown Dubai’s Burj Park Plaza in a mesmerising kaleidoscope of light. The display of six dynamic sculptures, created through rotating mirrors and supported by a strategic placement of light, complements the Burj Park Plaza as a reflection base for Burj Khalifa. Visa, a key sponsor of DSF, continues to reward card holders with offers for the whole family. Thrill seekers can enjoy 15 per cent off Dubai Pass and up to 20 per cent off at attractions at Meraas. In addition, Visa customers can take advantage of rewards at Majid Al Futtaim malls with 25 per cent off across select attractions, as well as 25 per cent off on stays at Jumeirah. Food enthusiasts can feast with a 20 per cent off at Jumeirah and Meraas across their food and beverage outlets, while shoppers can enjoy an additional 15 per cent off at Splash on purchases above Dh250. Starting 2 February, jewellery-lovers will have the chance to purchase an exclusive David Yurman product as part of DSF. Iconic pieces from the brand’s three high jewellery collections – ‘Stax’, ‘Petals’ and ‘Gems’ – will be available at Bloomingdale’s at The Dubai Mall; giving shoppers access to the one-of-a-kind gems.